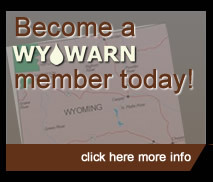 WYOWARN (Wyoming Water and Wastewater Agency Response Network) is a mutual aid and assistance network for water and wastewater utilities in Wyoming. These utilities cooperatively prepare for emergencies through mutual aid agreements, protocols, training and networking so that utilities can respond to emergencies by sharing personnel, tools and equipment. Water and wastewater systems provide for public health, sanitation and safety. When water and wastewater systems fail, the well-being of communities quickly deteriorates. Without clean water and ways to remove and treat wastewater, communities become susceptible to disease and illness. The lack of water constrains emergency services such as medical response and fire fighting. Economic production slows. In these conditions, people become frustrated and fearful. Restoring water service restores hope and the ability of a community to respond to natural or man-made events. The fastest way to obtain the skilled staff, specialized equipment or resources needed to efficiently restore water services is from neighboring utilities. Wyoming utilities already have the personnel with knowledge of our water systems, working conditions and regulations. They already have the specialized equipment needed for testing, pumping or repairs and may have supplies of pipe, valves, chemicals, generators, etc. in stock.